In the knowledge economy era, increasing attention has been on the myths and secrets of knowledge management (KM). Being the core of the intangible assets of organizations, proper and effective KM is an inimitable and sustainable competitive advantage in today’s competitive world. Taking this into consideration, this paper probes the dynamic relationship and impact mechanism between corporate culture, leadership styles and knowledge management in organizations based on literature review in this field. This research shows that corporate culture can serve as a propeller or inhibitor in KM. Knowledge-supportive and knowledge-sharing corporate culture has a positive influence on KM, while hierarchical and paternalistic corporate culture has a negative influence. Leadership style has a direct and indirect impact on KM through the formation and components of corporate culture. Leaders impact the organization’s KM in various ways. With the embracement of the knowledge economy epoch, the development of science and technology and the advent of economic globalization, knowledge has become the most important strategic resources in today’s fierce competition. 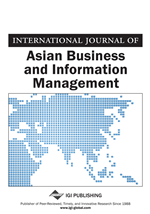 Information management is no longer sufficient to meet the demand of knowledge for rapid growth rate, knowledge management (abbreviated as KM) as a new management mode has emerged to compensate for the insufficiency of information management. In reality, as early as 1890, Alfred Marshall had already exposed the importance of knowledge within the organizations. However, his concept was so novel as not to be accepted at that time until 1990s (Quintas, 2002). Substantial research has revealed that the outcome of knowledge management will play a key role in the development of the organization performance (Bollinger & Smith, 2001; McDermott & O’Dell, 2001; Holowetzki, 2002; Chin-Loy, 2003; Chin; 2001; Crawford, 2004, Mustafa, 2002; Rowley, 1999; Gloet & Berrell, 2003). With the increasing awareness of the importance of knowledge management, research on KM has become a hot topic in academic fields. Studies on the relationship among the factors which influence the results of KM have become an important branch of study. DeTienne, Dyer, Hoopes and Harris (2004) have proposed the four most important factors which have positive influences on the effectiveness of knowledge management. To be specific, these four factors are: corporate culture, chief knowledge officer (hereinafter abbreviated as CKO), leadership style and education level. The proposed concept is rather similar to that of Davenport and Prusak who are two knowledge management gurus. In general, these scholars have laid a great emphasis on the importance of knowledge management and they have unanimously agreed that organizations with knowledge -supportive culture and sincere trust among organizational members will have a beneficial influence on knowledge management. Additionally, appropriate leadership styles will also have a favourable impact on organization’s knowledge management. Celep and Cetin (2005) have conducted the research and follow-up research on a number of schools in Turkey. Their studies have listed seven most important factors which influence the outcome of knowledge management, among which leadership styles and corporate culture have been ranked as No. 1 and No. 2 respectively. Similarly, Mason and Pauleen (2003) have studied 71 middle managers in New Zealand and found that internal factors such as corporate culture, leadership styles and education level were the three most important factors which hindered knowledge management in their organizations. More specifically, the degree to hinder the organisational knowledge management originated from corporate culture, leadership styles and education level are 45%, 22% and 16% respectively. Therefore, it can be concluded that corporate culture and leadership styles are the two most important key factors to promote or hinder knowledge management in the organizations (Guptara, 1999; Holland, 1999; Marr, 2003; McDermott & O’Dell, 2001; Holowetzki, 2002). Based on the literature review of concerning articles published in the research field of knowledge management, the authors of this paper have streamlined the organism and mechanism of the relationship between knowledge management and corporate cultures, as well as leadership style. Furthermore, the direct and indirect impact of leadership styles on knowledge management (KM) through the formation and content of corporate culture have been discussed.